Are you, like me, one of those dags who likes to dress their children in Christmas-themed clothes? I adore seeing children get into the spirit with a Rudolf tee or some tinsel in their hair. Obviously, I draw the line at dressing myself in festive finery. And I suspect my children will do the same one day. But while they are still young enough not to know any better, I will continue to adorn them like little Christmas trees. And there’s nothing better than seeing a little bubba in Christmas clothes. 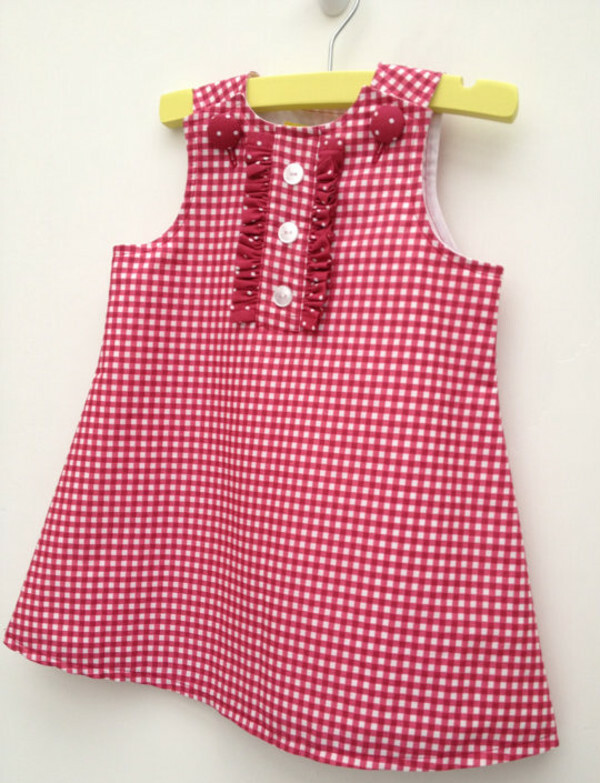 Just look at this bright red Chrissie dress for baby girls aged 9 to 12 months. 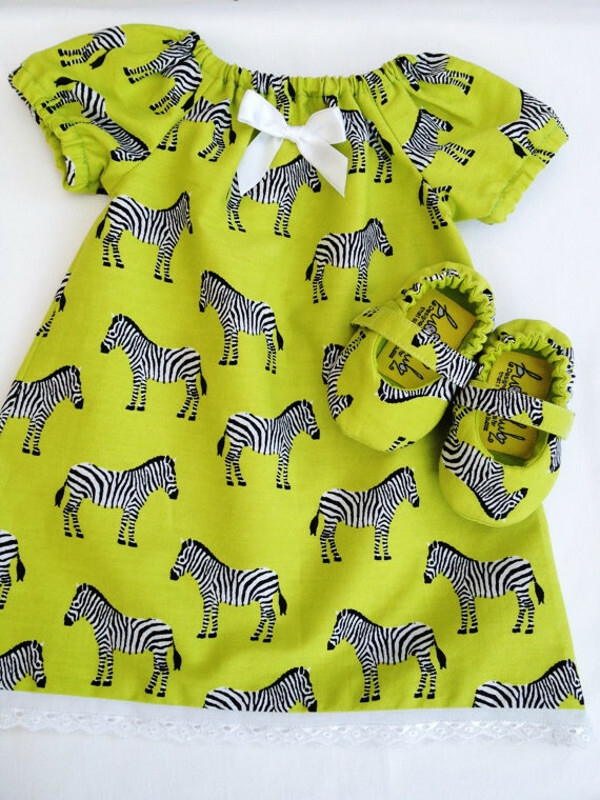 It’s handmade by Bubbalubz Baby Wear, which stocks an array of gorgeous handmade clothes and accessories on Etsy. 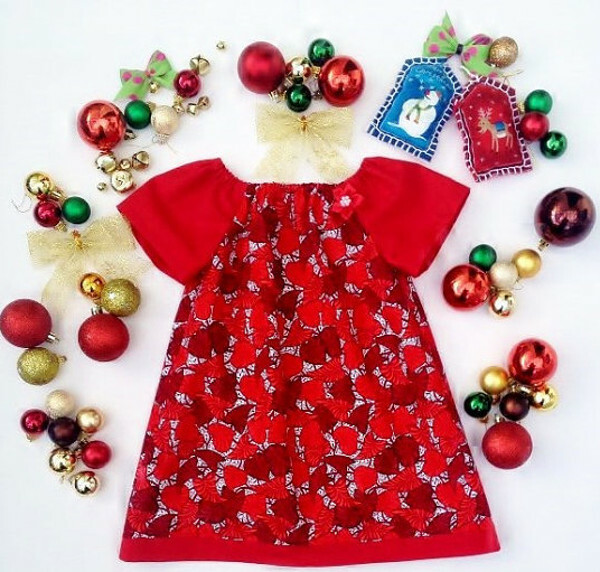 Like the other dresses in the Christmas range, this one sells for $42. This red and white gingham sundress is made to perfection. The ruffled detail around the buttons, the lining, self-covered buttons – it’s easy to see how much attention to detail Janette from Bubbalubz gives to each of her creations. For something a little wilder, there’s the quirky zebra print peasant dress. For $54, it comes with a pretty pair of matching Mary Jane shoes. There are only two items in the baby boy range, including these cosy fleece-lined booties. With the polka-dot fabric and love heart buttons, they are super cute. Janette from Bubbalubz professionally stitches and overlocks all her clothes, so they are made to last. She also pre-washes all the fabrics to prevent shrinkage. Bubbalubz goodies are made in the UK and can be shipped to Australia. Janette makes custom orders and is happy to be contacted with special requests.